We hope parents found the phonics workshop held today useful. All children in Reception and years 1 & 2 are taught to use phonic strategies to help them read. 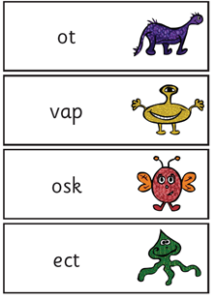 In June, children from year 1 and some from year 2 will take the phonics screening check. This test presents children with 40 words to read. 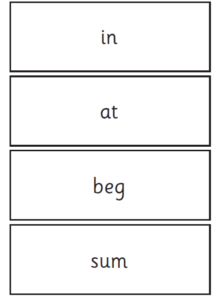 20 are real words and 20 are nonsense words that the children must use phonics skills to read these words. The children are presented with a list of words that look like this. They become progressively harder as the children move through the test.